Now The Hero / Now The Hero extends Marc Rees’ creative exploration and practice in site-responsive theatre by placing a musical element as the project’s core. It will take the form of an immersive requiem realised from an original collaboration by Jóhann Jóhannsson and Owen Morgan Roberts, composed by Roberts. 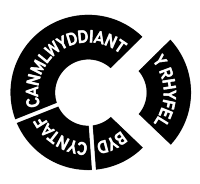 Rees first heard Jóhann’ music in 2006 at Galeri, Caernarfon where he collaborated with dancer Erna Ómarsdóttir in a piece called ‘IBM 1401 - a users’ manual’. Rees was completely absorbed by the score’s visceral quality and has wanted to collaborate with Jóhann ever since. Johann’s career went from strength to strength and he was in huge demand but Rees finally managed to lure him back to Wales with the intrigue of creating an Immersive Requiem. This was a format that neither of them had worked on before, and presented an opportunity to create something definitive. Jóhann loved the power of the project and because of his incredibly busy schedule brought in his regular collaborator, Owen Morgan Roberts, to co-create the composition. Together they visited Rees in Swansea and made test recordings at the Brangwyn Hall, which Johann described as being ‘able to dive into the belly of that beautiful beast of an organ’. 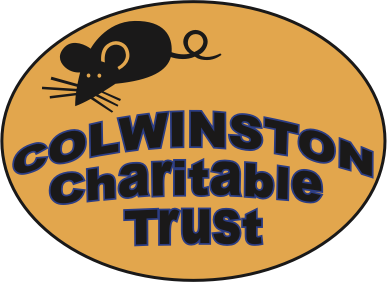 We are very grateful to the Colwinston Charitable Trust for their continued support in funding this special work. ‘But if we can get anything from (Johannsson’s) work, it’s that loss can be beautiful, and that in appreciating that, we can preserve something terrifyingly fragile but intensely human, and very, very important’. Jóhann Jóhannsson, was born in Iceland in 1969, and was an award-winning composer, musician and producer. His work often blended electronics with classical orchestrations and beared diverse influences of the Baroque, Minimalism, and drone-based and electro-acoustic music.In 2015 Jóhann won the Golden Globe and received Oscar®, BAFTA, Grammy®Choice nominations for his score to The Theory of Everything, James Marsh’s biographical drama based on the life of theoretical physicist Stephen Hawking. In 2016 Jóhann was again nominated for Oscar®, BAFTA and Critics’ Choice awards now for the best original score for director Denis Villeneuve’s thriller Sicario. 2016 also saw the release of Arrival, Villeneuve’s film on linguists deciphering alien signs made by extraterrestrial beings and yet again Johann was nominated to Golden Globe and BAFTA awards for his score to the film. Jóhannsson began studying piano and trombone at the age of eleven in his native Reykjavík.He abandoned formal musical training while at high school and after studying literature and languages at university, he spent ten years writing music for and playing in indie rock bands, using guitars to compose feedback-drenched pieces and sculpt complex multi-layered soundscapes. By manipulating the resonances of acoustic instruments with digital processing, Jóhannsson created music that integrated acoustic and electronic sounds into something strikingly individual and new. His first solo album, Englabörn, was released in 2002 on the British Touch label. Its contents reveal influences spanning everything from Erik Satie, Bernard Herrmann, Purcell and Moondog to electronic music issued by labels such as Mille Plateaux and Mego. Later works include Virðulegu Forsetar (2004), scored for brass ensemble, electronic drones and percussion, and the orchestral albums Fordlândia (2008) and IBM 1401 – A User’s Manual (2006), the latter inspired by the sounds of electromagnetic emissions from the first of IBM’s pioneering mainframe computers. In 2010 Jóhannsson collaborated with the American avant-garde filmmaker Bill Morrison on The Miners’ Hymns, a lyrical and reflective response to Britain’s lost industrial past and the heritage of the mining communities of Northeast England. The film’s accompanying score, conceived for live performance and also released as a soundtrack album, combines brass band, pipe organ and electronics. In 2015, Drone Mass, Jóhann’s piece for a string quartet, electronics and vocal ensemble was premiered at the Met Museum in New York. In addition to his scores for Hollywood, Jóhann also created soundtracks for several acclaimed works of world cinema and for documentary films, including Lou Ye’s Mystery, János Szász’s The Notebook and Max Kestner’s Dreams in Copenhagen. In 2015 he completed his first short film as director, End of Summer, which charts a slow, hypnotic journey across the austere landscapes of the remote island of South Georgia and the Antarctic Peninsula, its onscreen images accompanied by a haunting soundtrack score. Johann premiered another quite ambitious directorial project at Manchester International Festival in 2017, Last and First Men, where a text based on Olaf Stapledon’s sci-fi novel and read by Tilda Swinton is juxtaposed with startling footage of futuristic emonuments shot by Sturla Brandt Grövlen in in form Yugoslavia and Johannsson’s symphonic score. As an orchestral, chamber and theatre composer, he has written works for, among others, the Winnipeg Symphony Orchestra, Bang on a Can, Theatre of Voices, Det Norske Teater and the Icelandic National Theatre. Jóhannsson made his Deutsche Grammophon debut with the release of his first studio album in six years, Orphée, in September 2016. Orphée is inspired by a range of readings of the Orpheus myth, draws on a varied sonic palette, both acoustic and electronic, to explore the boundaries between darkness and light. It contemplates impermanence, memory and the elusive nature of beauty, ultimately celebrating art and its power of renewal. He was a music and sound consultant on Mother!, directed by Darren Aronofsky in 2017. His scores for Mary Magdalene and Mandy were released posthumously. Jóhann passed away unexpectedly in Berlin on 9 February 2018, at the age of 48, Now The Hero / Nawr Yr Arwr will in part a Requiem got him. For more than a decade, Polyphony has given annual sell-out performances of Bach’s St John Passion and Handel’s Messiah at St John’s Smith Square. These have become notable events in London’s music calendar and have been broadcast regularly by BBC Radio 3 and the EBU. According to the Evening Standard ‘no one but no one performs Handel’s Messiah better every year than the choir Polyphony’, and the Times rate it ‘amongst the finest John Passions … ever heard’. Polyphony’s extensive discography on the Hyperion label encompasses works by Britten, Bruckner, Cornelius, Grainger, Grieg, Jackson, Lauridsen, Łukaszewski, MacMillan, Pärt, Poulenc, Rutter, Tavener, Walton, and Whitacre. The disc of Britten, Sacred and Profane, won a Gramophone Award and a Diapason d’Or in 2001, and the choir’s première recording of works by Arvo Pärt, Triodion, was Best of Category (Choral) at the 2004 Gramophone Awards. Polyphony also received Gramophone Award nominations in 2002 for their Walton compilation, and in 2008 for Poulenc’s Gloria, described by Gramophone Magazine as ‘a performance of real distinction … simply incredible’. In the USA, Polyphony’s recordings have twice been nominated for Grammy Awards: in 2006 for Lux aeterna, a disc of works by Morten Lauridsen, and in 2007 for a disc of works by Eric Whitacre, Cloudburst. This ‘staggering disc’ (BBC Radio 3) spent more than fifty weeks in the Billboard Classical Album Chart, and has been hailed by the Times as ‘extraordinarily beautiful’, by CNN as ‘outstanding’, and by Classic FM Magazine as ‘unmissable’. Polyphony’s recording of Handel’s Messiah, recorded live during the 2008 performances at St John’s Smith Square was named Editor’s Choice as well as one of the 50 best recordings of the year by Gramophone Magazine. Classic FM magazine concludes ‘there are few finer exponents of this great oratorio than Polyphony and Stephen Layton … if you only listen to one Messiah this Christmas, Stephen Layton and Polyphony’s live recording should be it’. Polyphony’s recent releases include a disc of works by the young Latvian composer, Eriks Esenvalds. Recorded with Carolyn Sampson and the Britten Sinfonia, Passion and Resurrection was described by International Record Review as ‘utterly gorgeous’ and ‘totally absorbing’. They have also released a disc of American repertoire, with BBC Music Magazine stating ‘Incandescent choral glory - Polyphony is revelatory in American repertoire…’, as well as a new disc of works by Arvo Pärt which was Editor’s Choice in Gramophone Magazine. Polyphony has also recently recorded Bach St John Passion with the Orchestra of the Age of Enlightenment and soloists including Carolyn Sampson, Ian Bostridge and Iestyn Davies. BBC Music Magazine comments ‘This new recording’s credentials border on the unassailable’ whilst Katherine Cooper, of Presto classical, states ‘It’s remarkable simply because it’s practically perfect in every way’. Stephen Layton is one of the most sought-after conductors of his generation. Often described as the finest exponent of choral music in the world today, his ground-breaking approach has had a profound influence on choral music over the last 30 years. Fellow and Director of Music at Trinity College Cambridge, Layton is also Founder and Director of Polyphony and Music Director of Holst Singers. Former posts include Chief Conductor of Netherlands Chamber Choir, Chief Guest Conductor of Danish National Vocal Ensemble, Artistic Director and Principal Conductor of City of London Sinfonia, and Director of Music at the Temple Church, London. Layton is regularly invited to work with the world’s leading choirs, orchestras and composers. His interpretations have been heard from Sydney Opera House to the Concertgebouw, from Tallinn to São Paolo, and his recordings have won or been nominated for every major international recording award. He has two Gramophone Awards (and a further ten nominations), five Grammy nominations, the Diapason d’Or de l’Année in France, the Echo Klassik award in Germany, the Spanish CD compact award, and Australia’s Limelight Recording of the Year. Layton is constantly in demand to première new works by the greatest established and emerging composers of our age. Passionate in his exploration of new music, Layton has introduced a vast range of new choral works to the UK and the rest of the world, transforming the music into some of the most widely performed today. Longstanding composer partnerships include Arvo Pärt and Sir John Tavener; in the Baltic, Eriks Ešenvalds, Uģis Prauliņš and Veljo Tormis; and in America, Morten Lauridsen and Eric Whitacre, of whose music Layton made two Grammy-nominated recordings. Other award-winning discs include recordings of Britten, James MacMillan, Bruckner, Handel (including BBC Music Magazine’s “Best Messiah recording” with Britten Sinfonia), and Bach’s St John Passion, Christmas Oratorio and B Minor Mass with Orchestra of the Age of Enlightenment. Layton’s recordings have consistently broken new ground, creating a new sound world in British choral music. Originally from Worcester (U.K.), Owen Roberts is a Paris/Berlin-based performer, composer and producer whose work spans the fields of electronic, electro-acoustic and contemporary orchestral, chamber and choral music. His artistic output in each of these areas is connected by a passion for exploring the timbral characteristics of acoustic sound, blurring of the traits of rhythm and texture, and a focus on the placement and reception of sound in space. Beginning his musical life in the English choral world as a member of Worcester Cathedral Choir, Owen went on to study composition under Dr. Martyn Harry and Trevor Wishart at the Universities of Durham and Oxford before moving to Germany to immerse himself in the free improvisation and electronic scenes of Berlin. There, he began performing as a solo electronic artist under his ‘Eugene’ moniker (performing in venues such as Hamburg's Kampnagel, Berlin's Radialsystem and Amsterdam's Shoeless festival), composed works for ensembles including his CTM festival commission, Recycled Hyperprism Plastik for amplified chamber ensemble, and began collaborating with producer Raz Ohara with whom he released 2015’s Chez Cherie Session and toured extensively in Europe and Russia. Other Berlin-based collaborations included performance and production for composer Laurie Tompkins' works Heat War Sweat Law and 45th Generation Roman and production for releases by Julia Reidy, Klaas Hübner, Yeah You and Matt Rogers. More recently, Owen toured with, and arranged for, the Brandt Brauer Frick Ensemble and the electronic trio which form the basis of that ensemble, performing his arrangements of their studio work as well as featuring as a vocalist in their ensemble and electronic shows. Other orchestration/arranging projects have included working with Greg Haines on David Dawson’s ballet Empire Noir and with Adam Wiltzie on his film score and album, Salero. Owen's compositions have been performed by the BBC Singers, Chroma ensemble, Oxford Philomusica and Onkalo and his sound installations hosted at venues such as Radialsystem (Berlin), Modern Art Oxford and Mindpirates e.v. (Berlin). Owen’s relationship with composer Jóhann Jóhannsson began through his work as an orchestrator/arranger. Since 2014’s orchestral adaptation of The Miner’s Hymns at Reykjavik’s Harpa concert hall, Owen has worked with Jóhann on a series of his projects including Drone Mass, Arrival, Last and First Men, Orphic Hymn and 2016’s Deutsche Grammophon release Orphée, as well as conducting and arranging Jóhann‘s choral contribution to Tim Hecker’s 4AD release, Love Streams. Owen is now based in Paris and, apart from NAWR YR ARWR//NOW THE HERO, is working on a full length Eugene LP (his first full length solo release), a new duo album with Raz Ohara and arrangements for a live version of Jóhann Jóhannsson’s film score, Arrival. NAWR YR ARWR//NOW THE HERO will be their first full compositional collaboration although this has taken a very tragic turn as Owen will now complete the score alone following Jóhann‘s sudden passing. ‘Y Gododdin’ has inspired Welsh artists poets and writers since it was written by Aneurin in AD 600. It is of the oldest surviving Welsh work of poetry, telling how 300 Celtic warriors were assembled from as far afield as Pictland and Gwynedd and attacked the stronghold of Catraeth (Catterick). After several days of fighting against overwhelming odds, nearly all the warriors were killed and the poem laments their loss, while praising their valour and honouring their bravery in battle. ‘Y Gododdin’ was a major influence on David Jones whose epic poem ‘In Parenthesis’ was a response to the carnage he witnessed as an infantryman in the First World War. A quotation from ‘Y Gododdin’ precedes each of the poem’s sections. Tony Conran’s Poem ‘Elegy for the Welsh Dead, in the Falklands Islands,1982’ opens with the line, ‘Men went to Catraeth’, using the original poem to comment on a contemporary conflict. Owen Sheers, who has written the libretto for Nawr Yr Arwr \ Now The Hero, was inspired by ‘Y Gododdin’ for his award winning ‘Pink Mist’. Sheers has adapted verses from ‘Y Gododdin’ and shaped them to resonate with WWI. The influence of the epic poem ‘Y Gododdin’ runs through the narrative of Nawr Yr Arwr \ Now The Hero and has inspired Marc Rees since he performed in the seminal, contemporary reimagining of the poem by Brith Gof and Test Department in the 1980’s. Owen Sheers is an author, poet and playwright. He has published two poetry collections, The Blue Book and Skirrid Hill which won a Somerset Maugham Award. His debut prose work The Dust Diaries, a non-fiction narrative set in Zimbabwe won the Welsh Book of the Year 2005. Owen’s first novel, Resistance has been translated into eleven languages. Owen co-wrote the screenplay for the film adaptation, released in the UK in 2011. In 2009 he published the novella White Ravens, a contemporary response to the myth of Branwen Daughter of Llyr, as part of Seren’s ‘New Stories from the Mabinogion’ series. His latest novel, I Saw A Man, will be published in the UK, US and Canada in June 2015, and in territories across Europe from September 2015. Owen’s theatrical writing includes the script and novelisation (The Gospel of Us) for National Theatre of Wales’ 72-hour production of The Passion, in Port Talbot. A play created with wounded service personnel,The Two Worlds of Charlie F, which toured the Uk and Canada and won the Amnesty International Freedom of Expression Award, and NTW’s Mametz. His verse drama Pink Mist, commissioned by BBC Radio 4 and published by Faber in June 2013, won the Hay Festival Poetry Medal and the Wales Book of the Year 2014 and will be produced for the stage by Bristol Old Vic in July 2015. Owen has collaborated with composers on two oratorios. The Water Diviner’s Tale was created with Rachel Portman and performed at the BBC Proms in 2007, while A Violence of Gifts, inspired by a period of research at CERN, was created with Mark Bowden and premiered at St David’s Hall in April 2015. In 2012 Owen was Artist in Residence for the Welsh Rugby Union. His resulting non-fiction work on the Welsh team, Calon was published by Faber in February 2013. Owen also presents arts and literature programmes for TV and Radio. In 2009 he wrote and presented A Poet’s Guide to Britain, a 6 part series for BBC 4 about poetry and landscape. The accompanying anthology is published by Penguin. His other documentaries include one-hour studies of the poets Dylan Thomas and Keith Douglas. His professional positions have included being Writer in Residence at The Wordsworth Trust and a 2007/8 Dorothy and Lewis B. Cullman Fellow at the New York Public Library. He is currently Professor in Creativity at Swansea University. Nawr Yr Arwr/Now The Hero is a multi-artform, site-specific project created by Swansea born interdisciplinary artist Marc Rees for 14-18-NOW. This bold and exciting commemoration of WWI will take place in and around the Brangwyn Hall, Swansea during Harvest, September 2018.